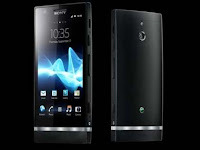 Sony’s Xperia P, is now available for pre-order on Infibeam.com for Rs 25,500 reports Tech2.in. May 26 is the official release date for the phone across the country. The Android smartphone provides an excellent music experience with features such as xLoud, Clear Bass and 3D surround. The phone comes with 2.3 Gingerbread OS but users have the option to upgrade it to Android 4.3, ( Ice-cream Sandwich) in the future. Unlike the Xperia S, which is expensive, this phone has the features like an aluminium unibody build which make it a lot sturdier. Other features include, 1Ghz dual-core processor, with 1GB RAM and an internal storage of 16GB. However, the phone does not have the option of expandable memory for those who hope the spruce up the phone later. It come with an 8MP shooter, instead of a 12MP like the Xperia S.
The smartphone doesn’t seem to have too many competitors in the Indian market for now. The one big competitor for the phone could be the HTC Sensation, which is available for Rs 24,000. HTC Sensation does have a dual-core processor but it also comes with an expandable memory of upto 32Gb, so users who want higher memory might not find the Xperia P so exciting.